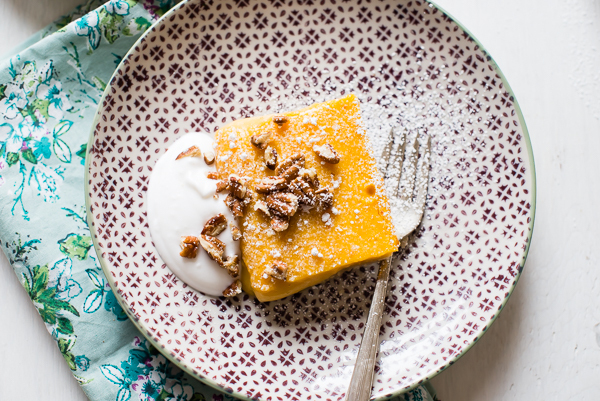 This Persimmon Ice Cream starts with slow roasted persimmons. No sugar added, 100% fruit-sweetened. Last year I took the plunge and decided to finally try persimmons. I had bought them many times but they were only used for decoration, or sat on my counter while I tried to decide what to do with them. And then I made Persimmon Butter, which remains one of the single greatest things I’ve made in the last year. So after I licked the persimmon butter jar clean and was wishing I had more, I went out and bought about 5 more pounds of persimmons. I looked at them lovingly on my counter, but I couldn’t devote any attention to them at that precise moment. And then they started to get a little soft and I thought, “Okay. I gotta use these, especially after all that talk about not knowing what to do with them and letting them go bad.” Persimmon Ice Cream. I know it’s practically a cop-out at this point. I mean, what haven’t I turned into ice cream?! But the truth is, that caramel-y flavor of roasted persimmons and their natural sweetness is the perfect base for ice cream. The puree texture is luscious and silky. The color is beautiful. And then, well, there’s the gorgeous flavor. 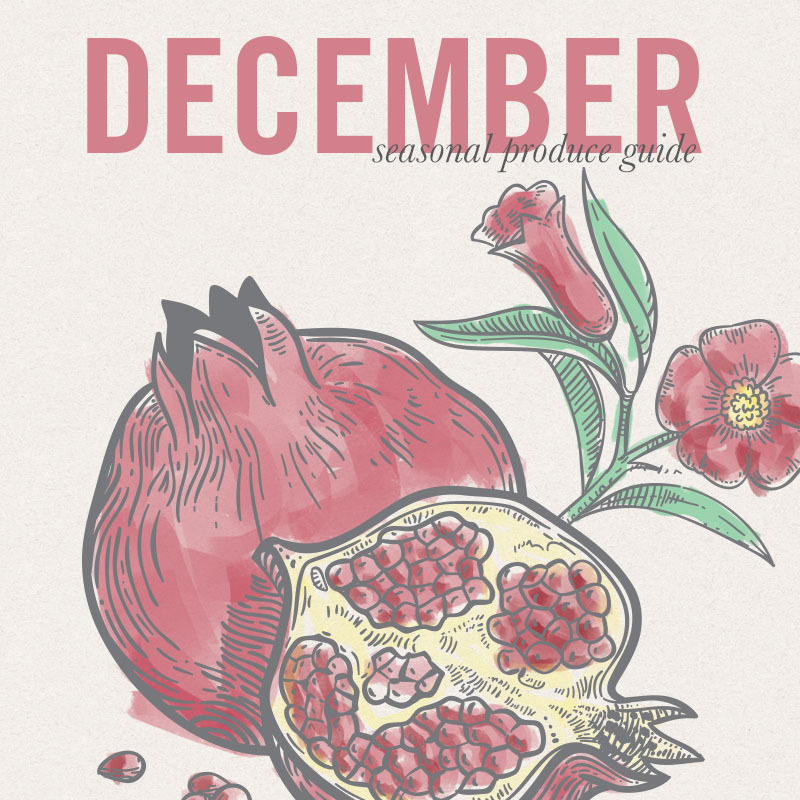 So I give you another sweet recipe: Roasted Persimmon Ice Cream. 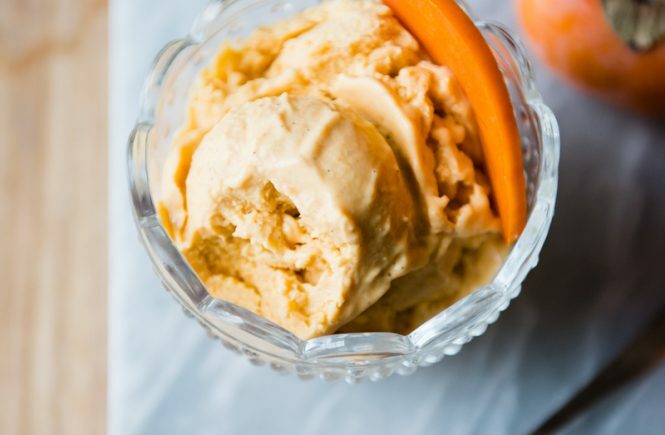 Persimmon Ice Cream that is 100% Fruit-Sweetened – Really! The really cool thing about this persimmon ice cream is that it doesn’t have ANY added sugar. None. Zilch. It is 100% sweetened by the roasted persimmons and a little orange juice. Not even maple syrup. As I’ve tried to move towards less sweet dessert (not that I don’t enjoy the other kind…ahem), I am appreciating the actual flavors of the fruit. Persimmons have a wonderful flavor. Roasting really does enhance it – almost like butterscotch. It’s like magic. So even if you never end up turning them into ice cream, promise you’ll at least roast some persimmons this year because they are FANTASTIC! 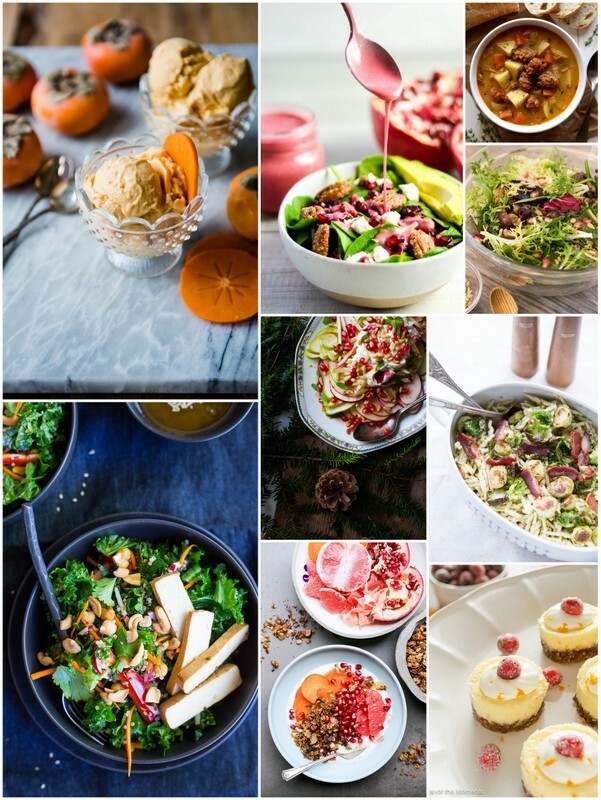 Be sure to check out these gorgeous, vibrant recipes. I see so many that I want on my holiday table! 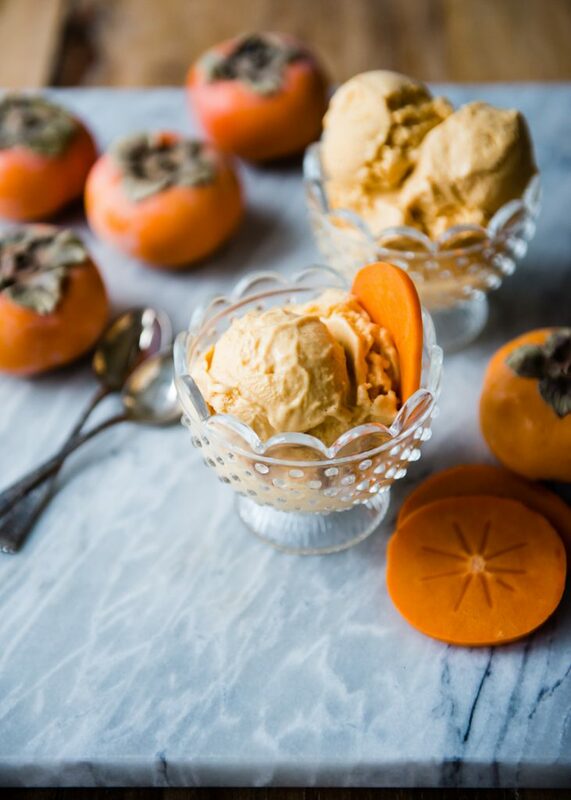 One last bit about this gorgeous persimmon ice cream – this time around I made a few variations to my original recipe. I was just curious to see if I infused the cream and milk with some of my favorite flavors, if they would play well with the persimmon. 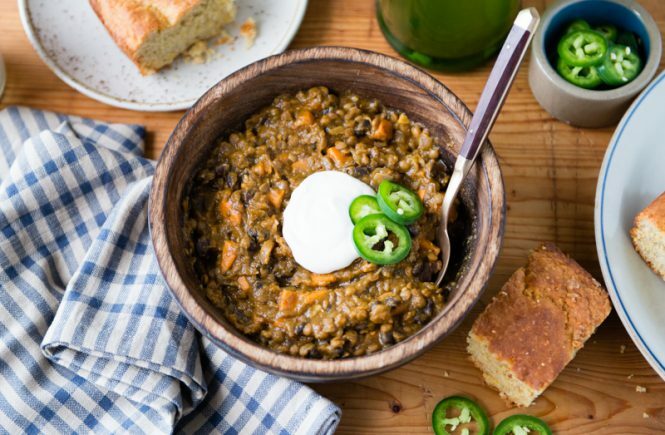 It worked, and it’s delicious, but I also appreciate the straightforward flavor of the persimmons. So I have included them as options – feel free to choose one, two, or all. The lemon juice and orange juice do help brighten the flavor, so don’t leave those out. 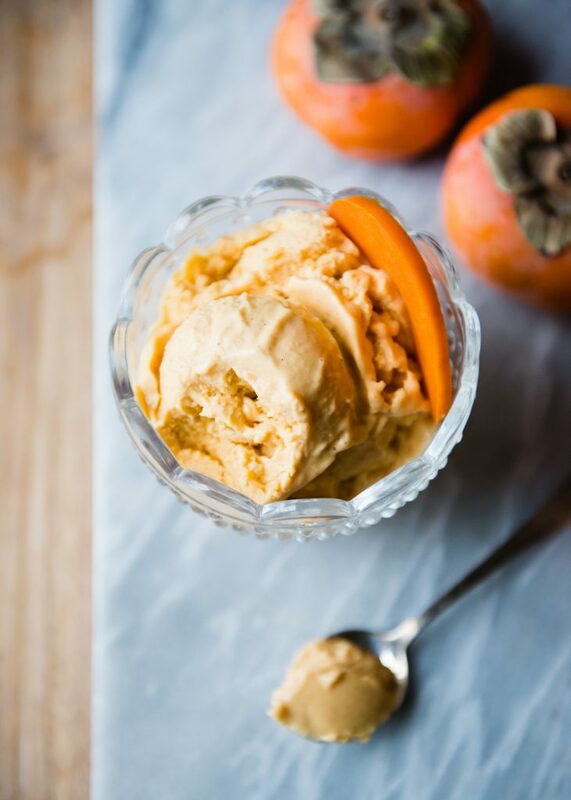 This persimmon ice cream starts with slow roasted persimmons, is 100% fruit-sweetened, and incredibly delicious. 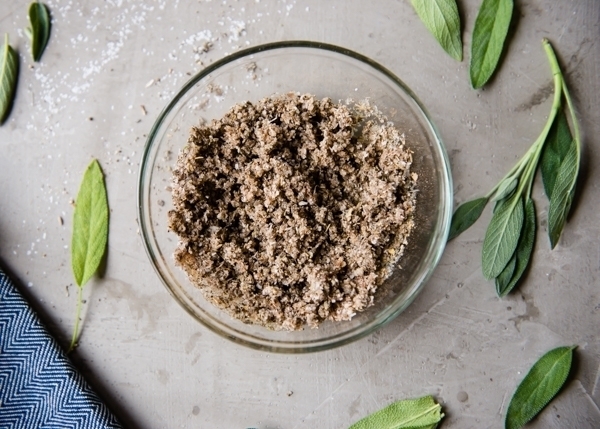 For an extra special dessert, infuse the milk and cream with fresh rosemary, vanilla bean, and bay leaf. The flavor is exquisite! 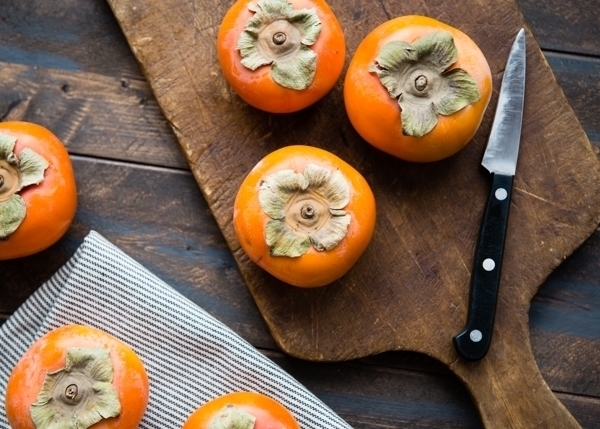 Prepare persimmons by peeling, coring, and slicing into wedges. Toss the wedges with the melted butter. Arrange in a single layer on the lined baking sheet. Roast for 45-60 minutes, or until golden and tender. Meanwhile, place heavy cream, whole milk, rosemary sprig, vanilla bean, and bay leaf, if using, in a saucepan. Heat until very hot, but do not boil. Turn off heat and allow to steep while persimmons are roasting. When persimmons are finished roasting, allow them to cool slightly, then transfer to a blender. Add the orange and lemon juice. 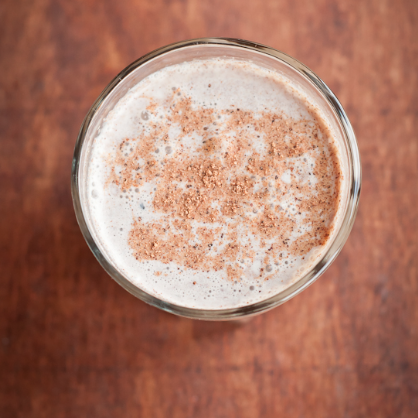 Strain out the rosemary, vanilla bean, and bay leaf from the cream mixture and pour into the blender with the persimmon wedges. Scrape the seeds out the inside of the vanilla bean and add to the blender. Puree until very smooth. Transfer to a bowl, cover, and refrigerate until very cold, about 3-4 hours, or overnight. Churn in an ice cream maker according to manufacturer's directions. OMG what a great idea Lindsey! I like the bay leaf suggestion too! 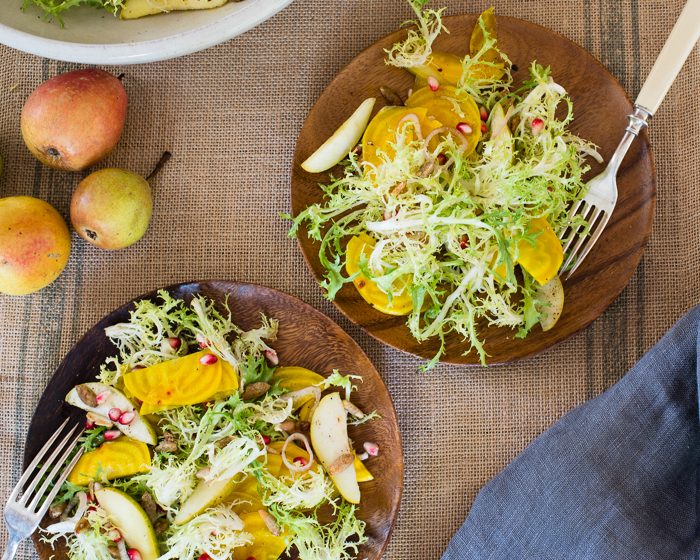 I’ll be roasting up some persimmons for this treat, that’s for sure–Pinned! I am crushing so hard on persimmons right now. Can’t wait to try this ice cream. And I’m so stoked that it doesn’t have any added sugar. That’s awesome! 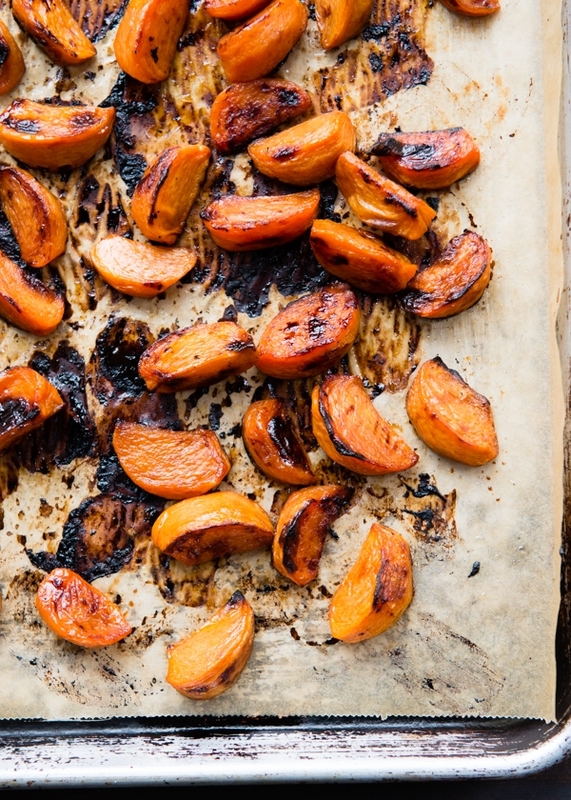 Roasting fruits like persimmons really brings out their natural sweetness! I need to do the same and gravitate towards letting fruits stand on their own in dishes without added sugars! agreed, only thought of persimmons for decoration too! Butter and ice cream, plus no sugar bonus, looking for a desert idea to tonight/tomorrow, thank you for this!